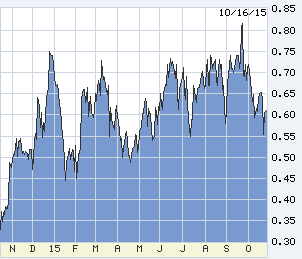 Long-term rates fell this week as a direct result of Fed disarray. The Fed's deepening dysfunction has two sources: an economic situation without precedent and possibly beyond the Fed’s powers to manage or even meliorate, and the appearance of internal failure by Chair Yellen. The Fed has become far too tolerant of voices dissenting in public, allowed in the name of transparency, and to let minor figures blow off steam, faculty-club style. Non-junkies find the Fed about as interesting as other non-junkies enjoy Presidential debates, but I promise that Fed issues are vastly more important. And current. Long-term rates fell this week as a direct result of Fed disarray, the 10-year T-note below 2.00 percent briefly, and the prospect of Fed liftoff receding over the horizon. Non-junkies find the Fed about as interesting as other non-junkies enjoy Presidential debates. 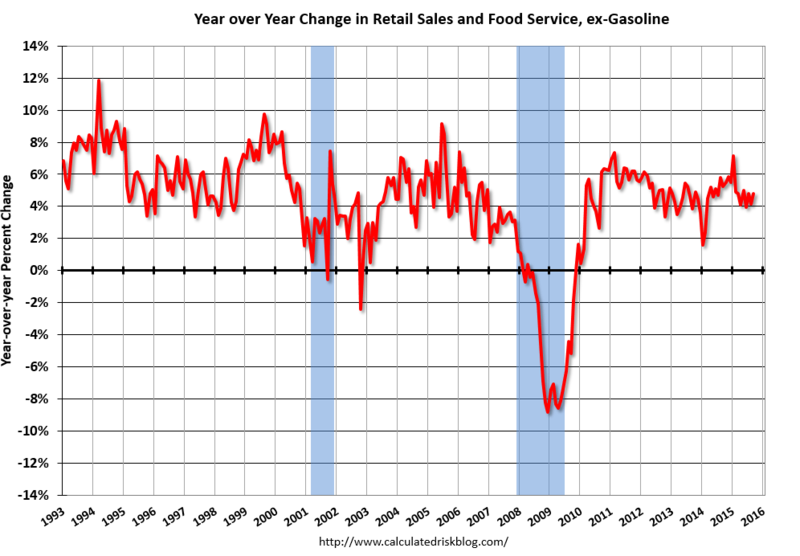 Before the Fed whys and wherefores, some data. The U.S. is not recessionary, but third-quarter (Q3) GDP (gross domestic product) going into the Q4 is far weaker than in Q2. Consumer spending continues to cook along at 3 percent annual growth, but the soufflé is an unsustainable binge on cars, and other consumers are forced to over-spend on rent and medical care. Core CPI (consumer price index) ticked up to 1.9 percent year-over-year, but driven by overweighted “cost of shelter” measured by rents running up at twice the pace of wages (that’s in part why the Fed prefers the personal consumption expenditures inflation measure, which is 1.2 percent). Too many millennials can’t afford to buy homes and face gouging in short-supplied rental markets. Medical care datum: Medicare Part B charges for one-third of retirees may jump 52 percent next year, while their Social Security benefits receive no cost-of-living adjustment. 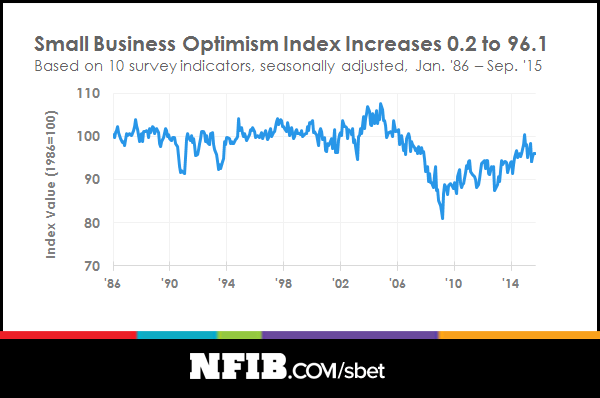 That pattern is a proxy for at least three-quarters of Americans: wages rising 2 percent per year, medical care rising three times as fast. And ignored by our political leadership: Democrats are self-enthralled by Obamacare, and Republicans hate government so much that they refuse to intervene in predatory medical pricing. Consumer spending is hollow also because we’re sucking up cheap imports and producing less here — that’s the gap between 3 percent consumer spending and fading GDP. The ordinary end to such a pattern in any economy is rising interest rates as it becomes necessary to borrow the money from overseas to fund the purchase of imports. Today, the world will buy any volume of U.S. debt — good credit, strong dollar, Fed lifting off. China’s trade surplus jumped to $60.3 billion in September, more than half with us. China’s imports from the world in 2015 have fallen 20.4 percent, overall exports also down, but only 3.7 percent. We can survive the hollowing damage for a while, but the rest of the world feels it now, acutely, and that damage feeds back to us also. The number of empty containers leaving Oakland and Long Beach — empty of exports, to be refilled with others’ production and sent back here — increased more than 20 percent in 2015. Now the Fed. Usually there is a humorous approach, or wry, but the episode unfolding is not funny. Perhaps because the Fed has for years been the only functioning branch of government. Its deepening dysfunction has two sources: an economic situation without precedent and possibly beyond the Fed’s powers to manage or even meliorate, and the appearance of internal failure by Chair Yellen. The second is worse by far. In his two terms, Bernanke hardly missed a step, and his command was clear. The same was true for Greenspan, but his over-long stay (17 years) and excess of command led to his two policy errors, with which few dared to disagree: light overwatch of Wall Street and the credit binge. The last time like this one: Volcker is a folk hero today, but by the end of his 1979-1987 tour, his narrow, punishing and imperious ways led to full-scale revolt inside the Fed and his resignation. The Fed has become far too tolerant of voices dissenting in public, allowed in the name of transparency, and to let minor figures blow off steam, faculty-club style, usually presidents of regional Feds. More serious than dissent: Throughout Yellen’s first year, the Fed has looked silly by insisting on imminent liftoff based on bad forecasts. Leadership failure dramatically increases the risk of policy error. Yellen on September 24 gave a definitive speech trying to assert control, but an awful one, far too long and void of insight. This week, the rebellion. Two Fed governors, Daniel Tarullo and Lael Brainerd — presidential appointments confirmed by Congress, usually requiring alien invasion to disagree with the Chair — laid down blunt, even dismissive disagreement with Yellen and liftoff. Ms. Brainerd’s speech is as well-thought as anything out of the Fed in several years; Tarullo’s was rib-breaking direct. This disarray is not about manners. Nor embarrassment for Yellen, backing away from a year of “Wolf!” Leadership failure dramatically increases the risk of policy error. 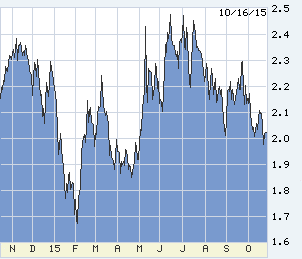 The 2-year T-note is the best of all Fed-predictive tools. A single chart is worth one thousand words. 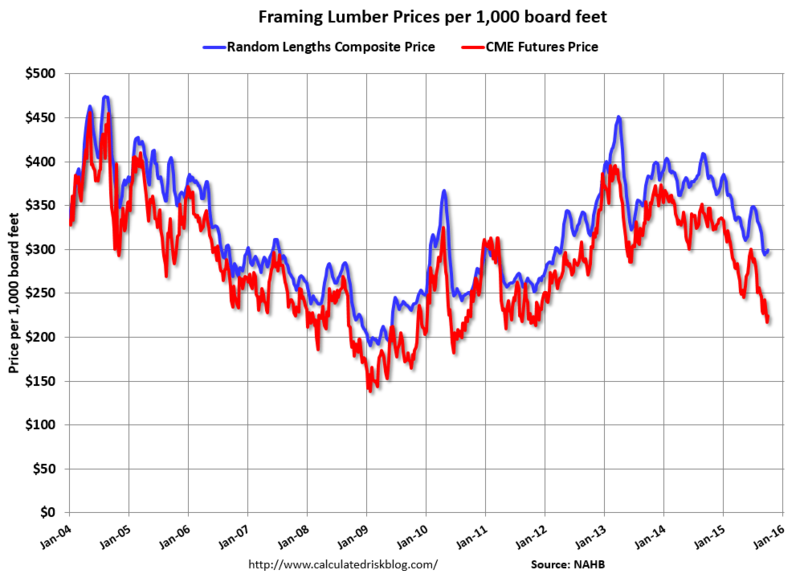 Housing is doing better, but the lumber-price chart is not consistent with anything resembling overheating, or inflation.